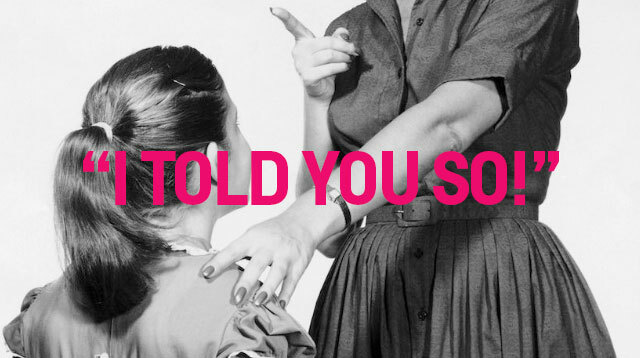 'I told you so,' says our mother. Harassing your daughter about finishing up her homework may not thrill her at the time, but she'll thank you later in life. According to a study conducted by the University of Essex in England, she will probably be more successful than the kids of less pushy moms. From 2004 to 2010, researchers followed the lives of 15,500 girls between the ages 13 and 14, and they found that the girls with moms who set high standards for them growing up were more likely to go on to college and earn higher wages. Another bonus of being a Tiger mom: These same girls were also less likely to become pregnant as teens, too. So maybe a little nagging isn't so bad after all? At least, that's what you can tell your daughter when she doesn't want to do her homework.